Juanita Smith Johnson, 80, of Laurinburg, passed away surrounded by her family on Monday, October 29, 2018 at Morrison Manor in Laurinburg, North Carolina. She was born on June 30, 1938, Laurinburg, North Carolina, to Vernon and Madge Smith and was the youngest of five children earning her the nickname of “Small Fry”. On November 21, 1954, at the age of 15, Juanita married Wallace Johnson of Laurinburg and thus began a love story that lasted until her death. From their first date, to the day of her passing Wallace and Juanita were inseparable and displayed the true meaning of the marriage vow “to honor and cherish till death do us part”. During their 64 years together, they lived a simple but full filling life, loving each other, raising four sons, working, attending Springfield Pentecostal Holiness Church and living in the same community of friends and family. Juanita will be remembered for the intense love she displayed for her family and church, her love of collecting dolls, Christmas villages, and souvenirs from her children’s travels. 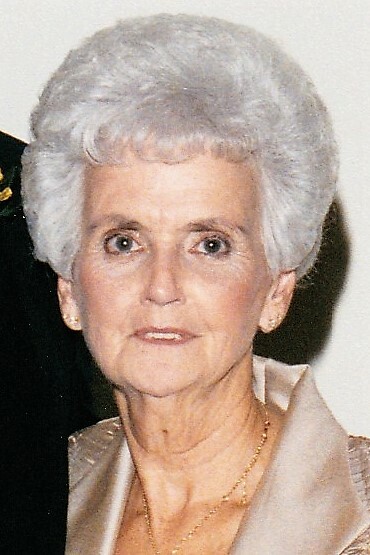 For those who knew her best she will also be remembered for her love of fashion, her “well dressed” look in any outfit, and that fact that she made shopping a hobby with an uncanny ability to find unbelievable bargains on any shopping trip. An avid baker, Juanita supplied homemade cakes to people throughout Scotland County and was best known for her 12-layer chocolate cake, a favorite of her children, grandchildren and great and great, great grandchildren; a recipe they have been unable to duplicate. Left to honor and remember Juanita are her husband Wallace, her sons Vernon Eugene “Gene” and his wife Phyllis, Wallace “Christopher” and his wife, Debbie, Wallace Jr. and his wife, Dorothy,; daughter-in-law, Debra C Johnson. Grandchildren; Vernon Johnson, Jr., Phillip Johnson, Dustin Johnson, Justin Johnson, Jordan Johnson, Carrington Johnson, Jonathan Johnson, Scottie Johnson, Tyler Johnson, Dylan Johnson, Kenneth Thompson, Steven Haywood; Great Grandchildren; Khristin Jernigan, Kylie Johnson, Hollie Johnson, Veda Oxendine, Spencer Johnson, Braxton Johnson, Bella Johnson, Koda Thompson, Karter Thompson, Kaylee Strickland, Kadynce Haywood, Michael Jordan, Elena Johnson, Logan Johnson and Great, Great Grandchildren; Addison Johnson, Emery Johnson, Levy Johnson and Paisley McGirt; many nieces and nephews and her Fur Babies, Benji and Brandy. Juanita was preceded in death by her parents, her son, James Ervin Johnson; brother Vernon Smith, Jr., sisters, Earlene Johnson, Mildred Johnson and Ruth Perkins. Visitation with the family will be held from 6:00 – 8:30 pm, Thursday, November 1, 2018 at Springfield Pentecostal Holiness Church, in Laurel Hill, NC. The funeral service will be held Friday, November 2, 2018 at 3:00 pm at the church with Rev. J. B. Loving officiating. Burial will follow at Hillside Memorial Cemetery.